The biggest feature of the Mi 5X smartphone is its Main camera. 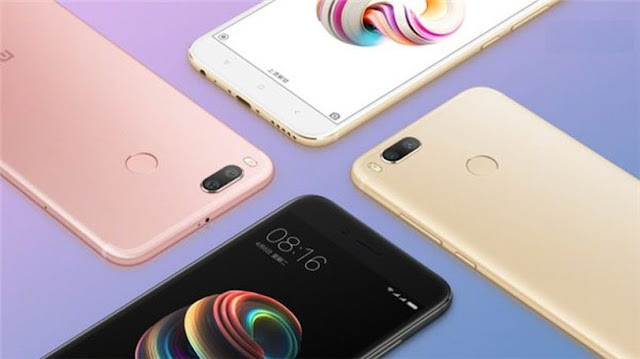 The phone has sports dual 12MP rear cameras, The dual-camera smartphone houses a 12MP wide-angle lens and a 12MP telephoto lens alongside dual-tone LED flash. There is also a 5MP front-facing sensor with real-time beautification feature. Xiaomi Mi 5X runs Android 7.0 Nougat out-of-the-box. In terms of connectivity, it supports 4G VoLTE, Wi-Fi 802.11ac, GPS, A-GPS and USB Type-C. Besides featuring fingerprint sensors at the back. The set of supported sensors including infrared (IR) blaster, accelerometer, gyroscope, magnetometer, proximity sensor, and ambient light.